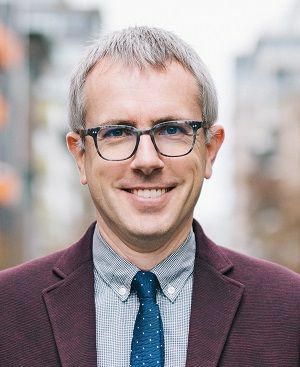 Cities in the Netherlands invest a great amount of money on quality cycling infrastructure, says Canadian traffic expert and author Chris Bruntlett. But it also took decades of citizen activism and political will before the car moved from the center of all considerations. Interview: Arne Jungjohann, The interview first appeared on Klimareporter.de. Climate reporter: Mr. Bruntlett, bike paths in Germany’s cities are mostly bicycle lanes painted on the streets. You looked at five cities in the Netherlands. What does the bike infrastructure look like there? Chris Bruntlett: In the Netherlands, many bike paths are physically separated from the road. Where that is not possible and cyclists share the road, cars are only allowed to drive at 30 km/hr. The idea is to make cycling attractive for everyone. For the five-year-old grandson it has to work just as well as for the 80-year-old grandmother. That is the goal to which the Netherlands aspires. Because cycling is safe. That’s why less than one percent wears a helmet. Cycling should be comfortable and fun. It isn’t the helmet that ensures safety, but smartly designed roads and intersections. And because so many people cycle there, the health benefits far outweigh the potential risks. Bike paths that are physically separated from the road aren’t enough. It is important, for example, that the – in the Netherlands, red – track of the bike path is not only guided over the intersection, but is also slightly raised. As a result, motorists turn much more attentively. People make mistakes. But the Dutch build their streets in a kind of way that the consequences of such mistakes are no longer deadly. In Berlin, six cyclists lost their lives by collisions with trucks – mostly when they turn right – this year. After the Second World War, many bombed cities in Europe were rebuilt – in most cases unilaterally for the use by cars. In the Netherlands, this development was not so bad. But even there, the traffic increased and demanded many deaths, including many children. In the 1970s, the Dutch began to defend themselves against those tragic collisions. Civil society spoke up. Citizens demanded more from their politicians, and went on the streets with drastic slogans like “Stop de kindermoord!”. And that increased over the years. Have you ever traveled by train from Germany to the Netherlands? You recognize the first station in the Netherlands because – unlike in Germany – hundreds of bicycles are parked there. The Dutch have realized that bikes alone do not replace cars, as well as good bus and train services. But if we combine both – bike and train – they are unbeatably effective and convenient. And then the demand for cars in the cities decreases rapidly. That’s right. Democracy is not a spectator sport. You have to get involved. In the Netherlands, many of the activists themselves have gone into politics. That’s why Groningen became one of the world’s best cycling towns. And we should be happy if 20- and 30-year-olds want to get into politics. We need their impulses if we want to realize new ideas. Chris Bruntlett studied architecture in Toronto, Canada. With his wife Melissa he founded Modacity in Vancouver. The agency provides multimedia support to authorities and businesses in promoting “cycling lifestyle” and other “healthy, joyful, easy forms of mobility”. Eight years ago, Melissa and Chris Bruntlett sold their family car. Since then, the family of four has been cycling through Vancouver on the west coast of Canada. The couple started blogging about his experiences. 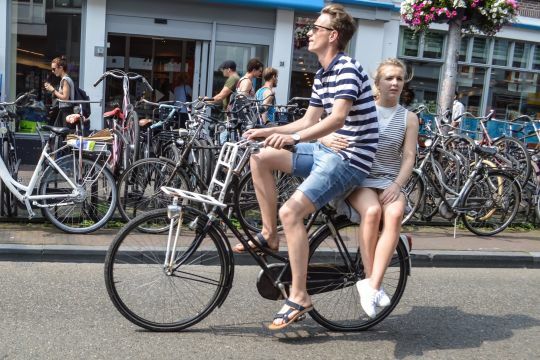 Soon they heard how easy cycling in Holland was. To experience for yourself, they visited five Dutch cities and tested the bicycle infrastructure. In the end, they had enough material to write a book. 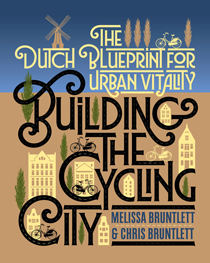 Recently, “Building the Cycling City” appeared on the secret of Dutch cycling heritage culture and how to apply it to other countries and cities. Green Party celebrates a historic victory in Bavaria – what’s next? Écrit par Yves Heulliard, French DD Magazine. Gavin Fridell, the Canadian Journal of Development Studies. 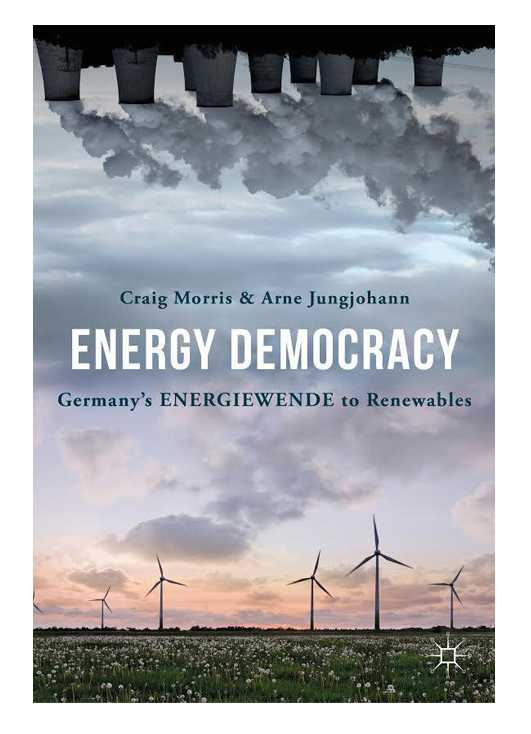 Danny Srp, Agentur für Erneuerbare Energien.